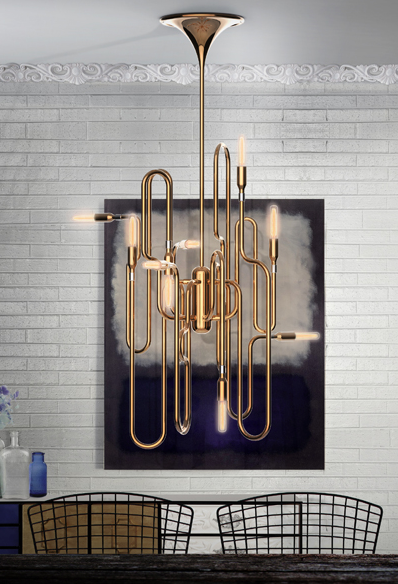 We were drawn to the new Clark chandelier from Delightfull due to its styling that is reminiscent of musical instruments and the fun incorporation of retro detailing. With all of the light sources pointing in different directions, trumpet base and trombone-like angles, this quirky pendant makes a statement we're loving. Available here.